Here we are, mid way through January. Now-a-days, many a month has a charity or cause status, for example, Movember, Stoptober, Dry January and also Veganuary, the latter of which encourages you to try Vegan for the month of January. I signed up and I gave it a go but I failed. I’m not Vegan and this is why. I can’t do it 100%. Now when I say 100%, I’m saying that I am vegetarian and have been for over 6 months. It’s something that I have wanted to do for nearly all of my life. I have never really liked meat – not real meat. I used to eat mince and sausages, ham etc as a child but complained at roast meat or anything that wasn’t processed. I hated it. I ate all my vegetables, pulses, pearly barley. you name it, but, I was born into a regular family with more normal eating habits and I was made to eat what was in front of me. As I got older, I became very aware of the ridicule you get as a vegetarian – people think you are namby pamby, soft, annoying, you make more work for them if they invite you over as they have to try and think of something to replace the meat. For me, I’ve never wanted something to replace the meat – I always just wanted my sunday roast but without the meat. I didn’t think anyone would want to date me if I was vegetarian, especially in Yorkshire, where I am surrounded by farms, abattoirs and farmers – some of whom are friends. So, I continued with life, married and had my son. But after my life changed dramatically following the birth of my son and subsequent health problems and after working so hard on my physical and mental health, I finally reached the point where I thought that I could try to be a vegetarian. In the last 2 years or so, I’ve dabbled and failed, dabbled and failed but finally, I sat and made myself watch the most horrific video’s that I have ever seen. I sat and cried my heart out and have *not knowingly eaten meat products since. I live around the corner from a livestock market – literally, and I hate seeing the lorries come and go, passing them on the motorway and seeing the animals inside, knowing where they are going. I can hear them when they are being sold and I hate it. *I say not knowingly as I was eating Muller Light yogurts without realising that they contained Gelatin. A lovely reader pointed that out to me. It just shows that you need to check things more carefully. 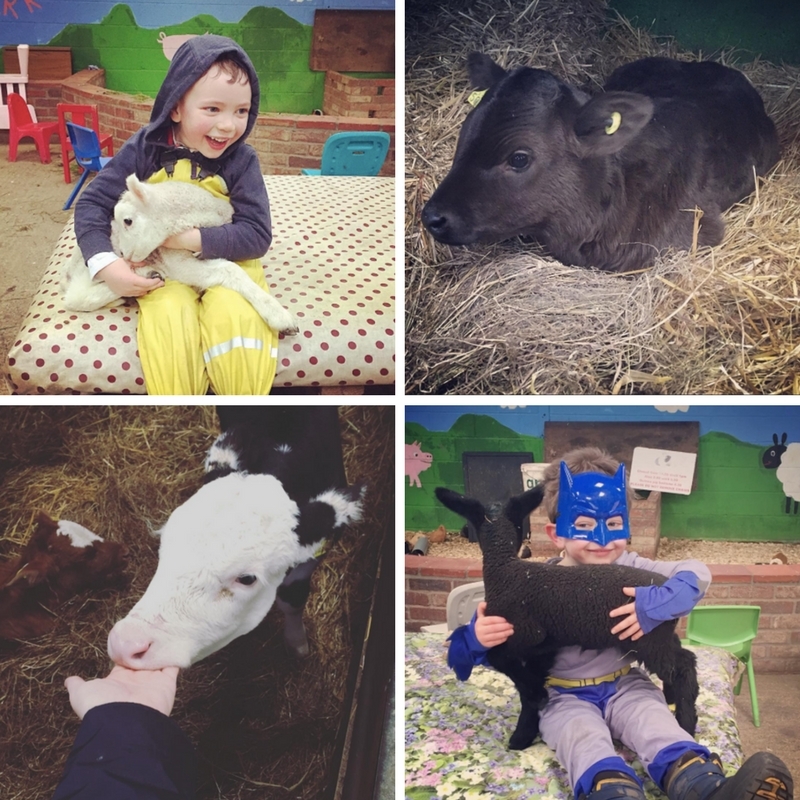 My son’s favourite hang out is a petting farm. I would go there and pet, feed and coo over the baby farm animals – I’d stroke the pig and pet her piglets and then go to the cafe and eat a bacon sandwich. I can’t do that anymore. It made me feel very uncomfortable. I know there is an argument that these animals wouldn’t be there is it wasn’t for the meat industry but children and people will always want to see farm animals. You don’t have to force breeding or sell their products to keep the farm going. It’s a lazy retort. Yes, there wouldn’t be so many farm animals on the planet and wouldn’t that be a good thing. Zoo’s, for some species are now a necessary evil, due to our disregard and greed but we don’t go to them and buy lion skin shoes, eat hippo steak and drink llama milk and a petting farm, probably more, would exist whether we eat these animals or not. So, I have comfortably become Vegetarian and I was contacted through my blog, about Vegan-uary. I’m not an idiot, I know what happens in the dairy industry and it’s made me very uncomfortable but not as much as actually consuming meat and so some dairy products are still in my diet. It all started off well and the emails that Veganuary send you are really helpful, encouraging and include great recipes but as my son’s birthday arrived and the cake needed baking, I folded and made one tier Dairy Free for children that we’re intolerant but I wasn’t confident to give this to all the adults and be ‘judged’ (although I’m sure no one would, I just like to feel proud of what I serve which is silly as I’d rather be proud of helping animals…) anyway, so I hadn’t practiced egg free and dairy free baking but do intend to do this over the coming months. Then, with my favourite food in front of me (cake) and no vegan replacement at hand, I ate some. I think ice cream and cake are the recipes that I need to perfect in the coming months. I have switched to nut/soya milk and I’m used to that, dairy free / vegetable spread instead of butter and soya yogurts as well as actually cutting down on dairy or dairy free replacements. I have never really liked cheese except for on a cooked pizza or lasagne so that’s been easy to drop – I just make my own pizza but egg is the hard one. Mainly for baking and because of it being in Quorn and some other meat replacements that are bridging the gap for me at the moment. I do really want to get to the point where I cut eggs out too but I want to succeed and cutting everything out in one go leaves me stuck for ideas. I don’t have the strength to stand and cook for hours – my son’s cake took me over 4 days. Making a lasagne for instance leaves me in pain and exhausted. I find that I end up eating the same thing for weeks at a time and then I get bored. The other thing about being Vegan is not using leather or any other animal products that are in more than just food. I’ve made the resolution to try and not to purchase anything from now on but what do I do with the things I have got? Part of me wants to chuck them but then the other part makes me think I owe it to the animal to use it until I no longer can. It’s not a case of not making their sacrifice in vain, because in my mind, it is in vain, but you know where I am coming from. I know my logic won’t fit with everyone and maybe I’ll firm my idea’s up about these things but I am learning and making massive changes as I go. I sat through another documentary last night which although hard to watch, has helped me refocus. A big problem is that I live in North Yorkshire – near a very small town with one supermarket. Things are improving but vegan food choices are hard. I don’t have the choice that you get in cities or even bigger towns. I also need to think more – I’ve seen Vegan’s on Youtube, buy non leather shoes from Primark but for kids especially, the quality is crap for their instep etc and how many children were denied a childhood or how many people were taken advantage of in sweat shops for this fast fashion? The problem is that once you start digging into these issues, there is always another level to consider and I want to take my time to make my life changing decisions. However, after all of the above, I think I will be going to as close to Veganism as I can, in the future. The near future. I’m almost there but I’d love to know what people’s thoughts are about pets and feeding dogs and cats a non vegan diet. I got them when I was not even vegetarian and whilst I know that there are a few dogs out there that can survive on a vegan diet (you can buy a special dry food) it’ really not recommend for cats at all. 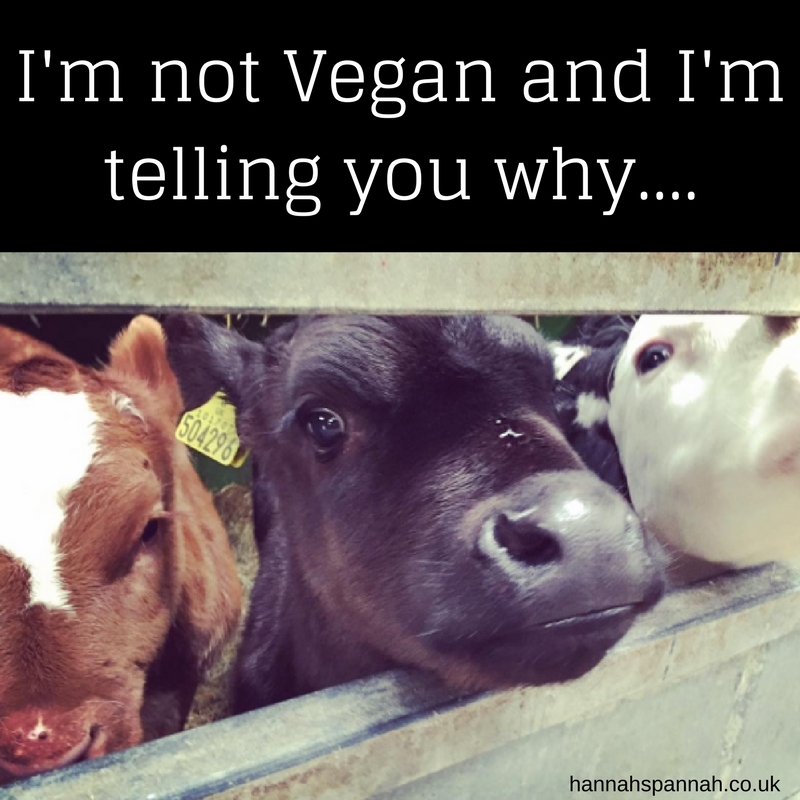 If I keep my pets, which I will be, how do I class myself as Vegan if I continue to feed them food that continues the cycle of abuse that I am opposed to, especially in the Dairy industry. And children. As much as I’d love to help my son transition, I co-parent with my ex husband and I can say pretty much with certainty that he would not be happy and would no doubt oppose it vehemently. I won’t preach. I won’t expose you to the images I have seen but what I will tell you is that the things that upset me the most are not the cruelty that you could possible palm off as occasional, or rare (although truthfully, I doubt that they are that rare) but what makes me cry and hurt the most is what is legally allowed in the UK and USA, let alone all over the world in meat production. Knowing these things hurt and shock but then there’s always Organic, free range or a small farm where the cows live in the fields etc but no matter how they have lived their lives, they all die in the same way and THAT is the thing that I cannot handle. The legal procedures are not humane. They are not ok. I won’t tell you where to find this information as you can find it if you want to and I do not want to be responsible for a child or vulnerable person finding this without support but if you have any curiosity, read, watch and learn. A message that sticks with me, over the tolerance of Vegetarianism and Veganism, is from a very disturbing but factually correct film. This is my most controversial post at present and I’m sure you can pick a hole in my argument, as I can in yours and if you feel the need to type your thoughts to me, well then bring it on. I’m aware that I’m putting myself out there but I can’t not write about this. You can also go back through my blog and instagram and point out all the animal products and past consumption and call me out as a crap vegan and that’s fine, I expect that but I am learning and starting out down this road and I have already told you that I can’t call myself a vegan as I’m not there yet but I am trying and I am making my difference. I don’t think any less of my friends and family, let alone strangers who continue to eat and dairy so I am certainly not judging you. Oh and I forgot to mention that I have 2 dogs. We buy wet dog food, but we also cook for them a few meals a week to balance things out. Or we make a big pot of rice and veggies and mix some of their food in – so they still eat meat, but it’s easier and cheaper for us. I don’t think I could ever do it but I applaud your efforts! I just found out I have Celiac Disease so I am still adjusting to a gluten-free lifestyle. And I don’t know about dogs, but cats absolutely need to have meat in their diet. You’re helping them live so I don’t think you should feel badly about it. I think we have to do what is right for us and that every little step we take is a step in the right direction for our health, for animal welfare and for the environment. Like you I have watched loads of documentaries on the subject and I live in a rural area surrounded by farms! I have been fully vegetarian for 17 years and have raised my children to be vegetarians. 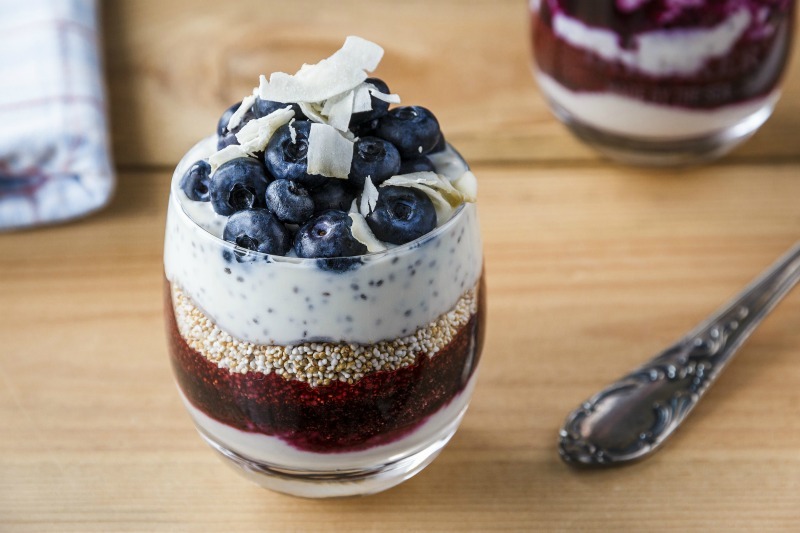 Nowadays, we eat very little dairy (there are no many great plant based milks, yogurts, cheeses, chocolates and ice creams!) and we only have eggs occasionally. The majority of my home cooking and baking is fully vegan, but I will still eat the vegetarian options in restaurants or when eating away from home if necessary. We still have to live in the real world. My sofa is 20 years old and made of leather – I continue to use it because consigning it to landfill would serve no purpose. A lot of vegans are very critical unless you embrace the whole concept, ethics and lifestyle of veganism. But for me, even small steps should be supported and respected, because every thing we do is moving in the right direction. You should be super proud of what you have achieved and don’t be hard on yourself for the things you don’t do. It’s an evolution as you find what’s right for you. I tried to vegetarian when I was at University, but only lasted for a year. I also caved because it’s so hard when you live in an area with very few vegetarian restaurants, and cooking every single day gets exhausting. Since then, I tried making vegetarian and vegan meals (tried the VB6 diet!) a regular part of my diet. I’m probably never going to be completely vegetarian, but I figure being a vegetarian before dinner at least means I’m eating significantly less meat than I did before. I couldn’t do vegan either. I love butter on my veggies! And delicious cheese! Good luck to you, though. It’s not easy, but if it makes you feel healthy and good, I say try it! Great post Hannah. I also have a plant based diet which started a few weeks ago. Your story is incredibly similar to mine. I only ate meat once a month or so for the last year until recently I completely turned. I don’t call myself a vegan for the same reason as you. I’ve written my ‘Vegan’ post 8 times already and I’m not happy with it but hoping to finalise it soon. Thanks Dan, its a really hard thing to get my head around as I have so may conflicting feelings.